I've always had a soft spot for colourful Italian design kitchenware. Going to the showrooms over there as a kid was such a thrill, seeing the counters glistening in jewelled coloured sugar bowls or toothpick holders, often taking the form of animals, figures or unusual geometric shapes. The beige and practical kitchenware always looked so boring back in the UK! But now the kitchen area here has become a lot sexier, with people investing in well designed kitchens. And along with them some products and appliances that marry aesthetic and function, objects to display and enjoy as well as use. The big names here are probably Guzzini and Alessi. Fratelli Guzzini was established in 1912, creating objects from ox horn. But their innovative approach to using new materials and investment in design research have ensured their long term success from the introduction of Plexiglas in the 30s, acrylic injection moulding in the 60s and gas assisted injection moulding in the 90s. They now combine modern materials with porcelain, glass, metals and wood and work with leading international designers to keep their products fresh and relevant for today. Alessi wasn't far behind, stating in 1921 and specialising in metal but now also use porcelain, glass, wood and plastics. Their ethos has always been to produce hand-crafted items with the aid of machines and this can be seen in the thought behind the products and quality of finish. They also use select external designers, whilst keeping a tight reign on production and quality. What I like about these companies is that their products are affordable to many, and making design accessible to everyone can only be a good thing! 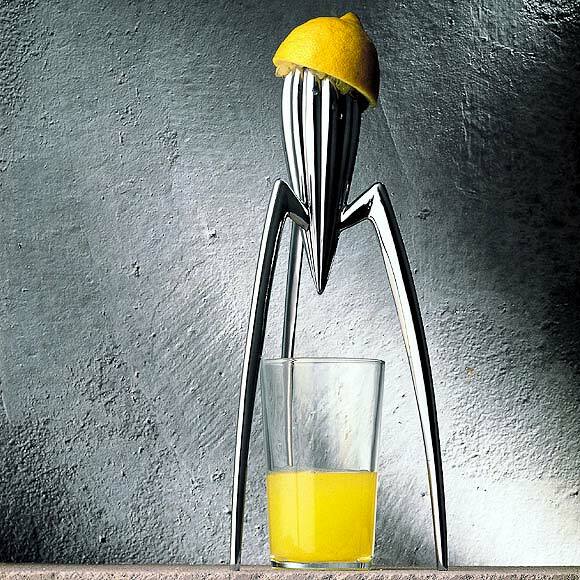 Everyone should recognise some of their products, be it the Juicy Salif lemon juicer by Philippe Starck for Alessi (above) or a classic salad bowl and servers from Guzzini. 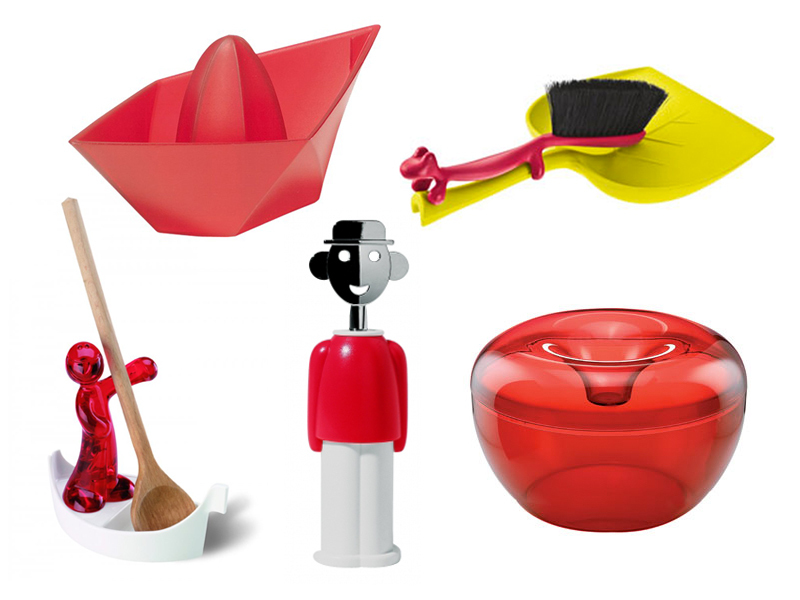 I suppose these products bring a bit of colour (particularly Guzzini) and joy (Alessi) into our everyday lives. Redcandy.co.uk offer a lot of these products as well as items from some of my other favourite product designers (Balvi, Brabantia, Dualit, Karlsson, LSA International and Sagaform). 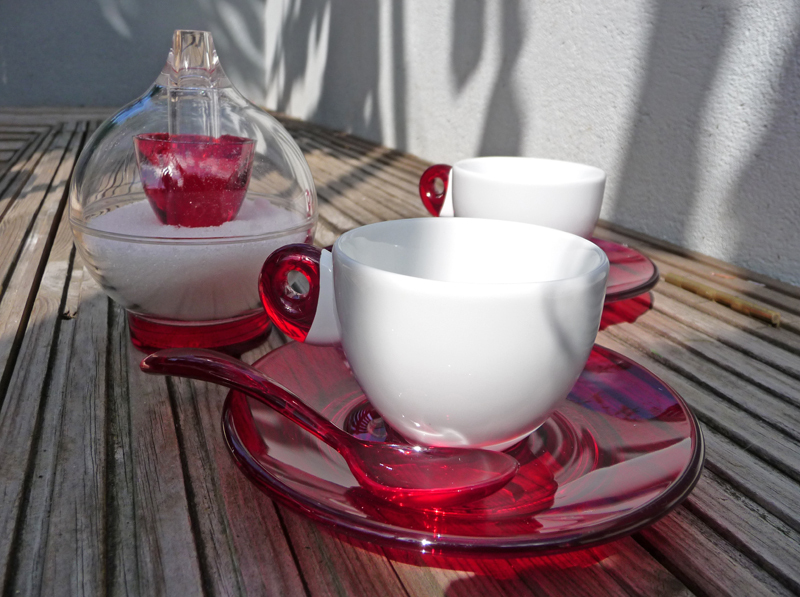 As the name suggests, almost all of the products on sale are red, which on the face of it seems quite short-sighted business wise, but actually most people opt for a single accent colour and funnily enough, my accent colour is red (and cream). The boldest statement being Betty the Kitchenaid, my retro scales and big melamine bowls and my cream Dulait toaster and Wesco Breadboy. I'm also quite fond of Otto, my red Alessi floss dispenser in the bathroom! 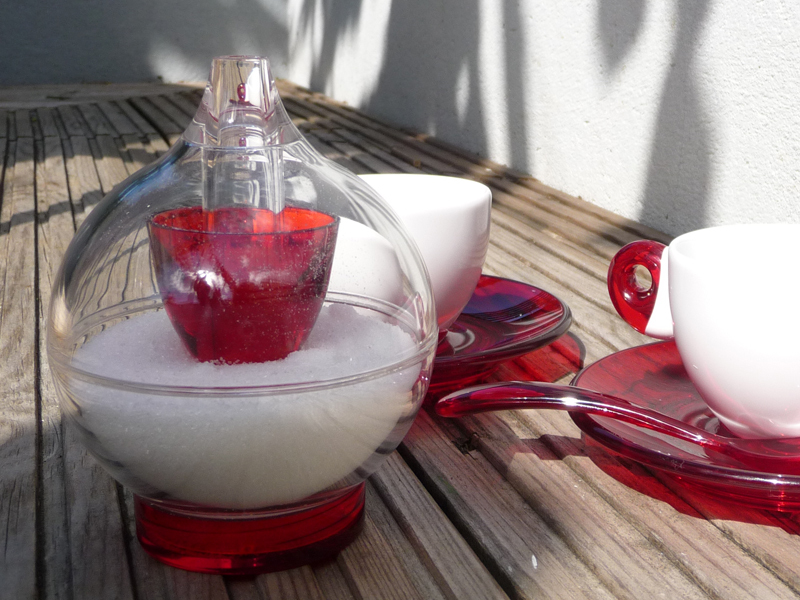 I've added these classic Guzzini espresso cups and a rather genius little sugar dispenser, again in tune with that little bit of daily design pleasure. I could play with it everyday and probably consume more sugar than I would do normally, but what the hey! But collecting never ends and next I have my eye on these items, including a few bits from Koziol a German product brand.